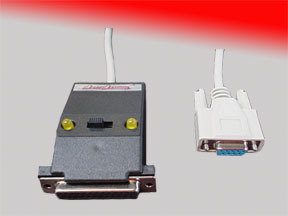 SC880 is always the right cable when you want to connect a peripheral to your Laptop PC or "AT" style PC compatible serial port. The SC880 instantly makes the correct interconnect among thousands of possible RS-232 cable configurations. The Smart Cable's patented logic characterizes the interface and determines the appropriate pattern for you.